Today we are excited to announce the start of a new blog series “ExamTime Study Hacks”. In this first article we share some key benefits of Online Quizzes Vs. Offline Quizzes. These patterns can be identified by students who can then guess the correct answer. They do this through elimination without even knowing the right answer. To avoid this, ExamTime Online Quizzes have a randomization feature that means no matter how many times you take a quiz the answers will be different every time. This option can be enabled or disabled in the “Question Settings“. Note: It is also possible to change the order of the questions by clicking the Test settings button. One of the main disadvantages when taking traditional quizzes is the process of correcting our answers one by one when we finish. On some occasions, students may even need to consult outside sources as the correct answer is not always provided. This delays the learning process. Our Online Quizzes help to solve this problem when you complete a Quiz. 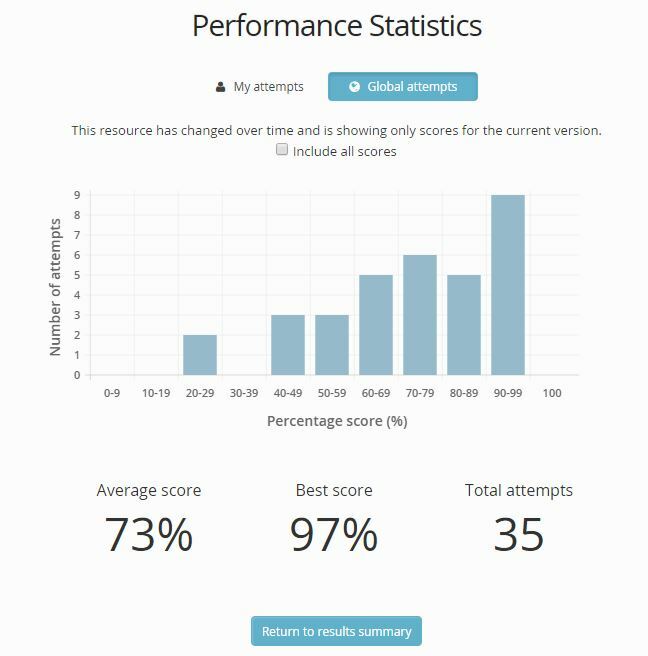 In addition to your score on the results screen, you also have the ability to see the correct answers, repeat the Quiz and see the evolution of your results over time. This is great for monitoring progression, increasing student motivation and allowing students to feel good about themselves as those grades improve. Take the previous image as an example and imagine you have passed your test. The first thing that will come to mind is, “was that a particularly easy test, did everyone do well or has my study really paid off”. You will want to know how your classmates did. If we use a traditional Quiz, the only way to verify how our peers did is to call them, ask them how they got on, or maybe even send them a copy of the quiz and wait for their reply. However, this process may take time or even days. Your study schedule cannot wait this long. You need the results as soon as possible to continue studying in these areas you are struggling in. To combat this, ExamTime provides global statistics for each Quiz. These figures will allow you to see how other ExamTime users got on with that Quiz. This is done through the Premium feature “Global attempts“. As we can see above, the average score is 73% so in this case we are close to our peer average. The use of Online Quizzes during class time is one of the most effective ways to keep the attention of students. It is less disruptive and a great way of including everyone. One of the problems teachers encounter when handing out traditional quizzes is that time can be lost distributing tests and then correcting them. This can break up the momentum in class and give students the opportunity to zone out of focus. Fortunately, as we established in a previous ExamTime Groups Article, Online Quizzes can be shared amongst all students with the click of a button. 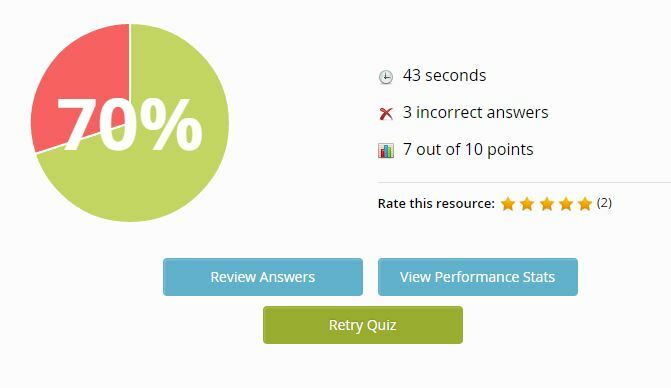 We also know instantly the global and individual results thanks to the student assessment feature of Online Quizzes. When it comes time to delivering a formal examination, it is almost impossible to ensure that all students have the exact same time as one another. Yes, we know that it is possible to present the paper upside down until everyone is ready, but there is always one sneaky student out there so why take the risk? 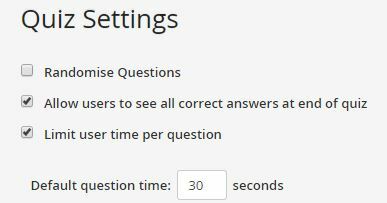 To make sure that the time is distributed as evenly as possible to every student, ExamTime give teachers and students the option of setting the time for their Online Quizzes through the “Question Settings” section. This is ideal not only for real life tests but it also allows students to prepare in an official exam-like scenario. 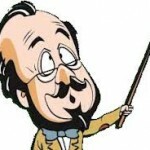 What way are you using Online Quizzes to learn? 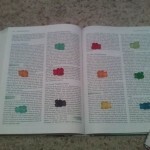 Join our RSS feed for more “ExamTime Study Hacks”or follow us on Twitter. 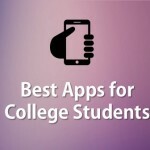 This entry was posted in ExamTime Blog Posts and tagged e-learning, education, exam tips, online study, quizzes, Study Hacks. Bookmark the permalink.